The Pathfinder Foundation (PF) has recently entered into a Memorandum of Understanding (MOU) with the newly established Bangladesh Institute of Maritime Research and Development (BIMRAD) to collaborate in the field of maritime research in the Bay of Bengal region. The MOU was signed in Dhaka by PF Director Admiral Prof. Jayanath Colombage and BIMRAD Adviser Commodore (Retd.) Kazi Emdadul, in the presence of Chief of Naval Staff of Bangladesh Navy, Admiral Nizamuddin Ahmed. BIMRAD is an independent think-tank and research institute set up to study issues relating to maritime interests of Bangladesh. This institute takes a comprehensive approach in dealing with all national, regional and global maritime matters that concerns Bangladesh. The role of BIMRAD is both advisory and consultative. It aims to provide advice and second options to Government maritime agencies, policy makers, stakeholders and other relevant organisations. BIMRAD envisions to contribute through world-class research, development, training, education and thoughtful leadership in formulating policy for deployment of the maritime industry in Bangladesh. BIMRAD is the brain child of present Bangladesh Chief of Navy, Admiral Nizamuddin Ahmed and is designed to fill the vacuum in maritime research. Senior retired as well as serving naval officers consist the founding board of the institute. 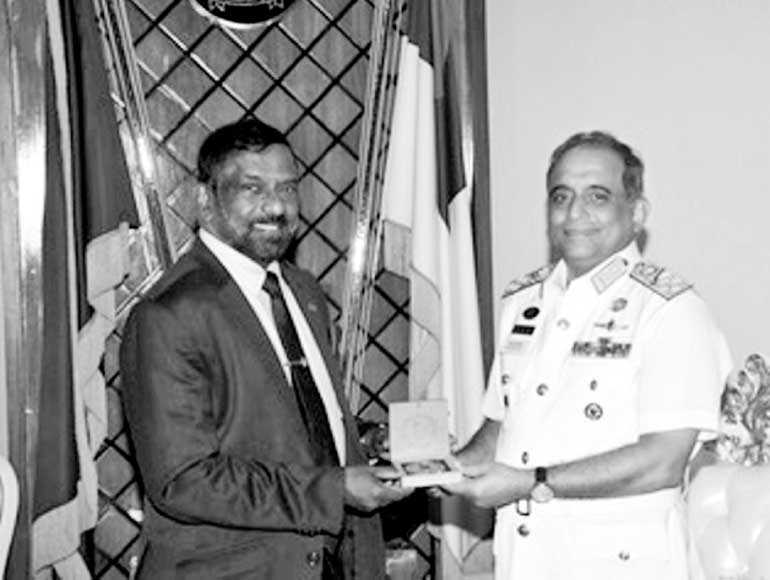 PF and its Centre for Indo-Lanka Initiatives (CILI) and the Centre for Law of the Sea (CLOS) have been promoting maritime strategy, maritime security and blue economic prospects for Sri Lanka with a special focus on the Bay of Bengal region in the wider Indian Ocean. PF has also been focusing on maritime good governance with special reference to the United Nations Convention on the Law of the Sea (UNCLOS). The foundation has conducted a number of international, regional and bi-lateral conferences, workshops and round table discussions with the participation of scholars and subject matter experts. The objective of these events was to promote rule-based maritime order, sustainable exploitation of ocean resources as per blue economic concepts and to promote Confidence Building Measures (CBM) at sea. PF has also drafted a Code of Conduct for consideration by members of the Indian Ocean Rim Association (IORA) aimed at tackling threats posed by the non-state actors in the maritime domain.